How to add a music? 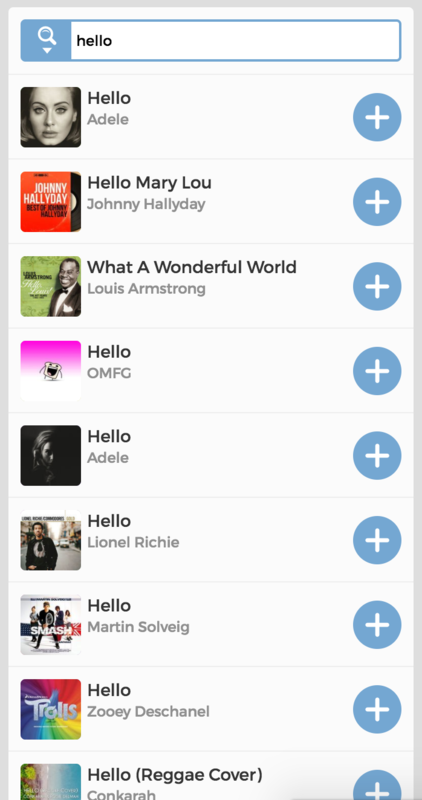 How to make a playlist : by adding songs and here's how. 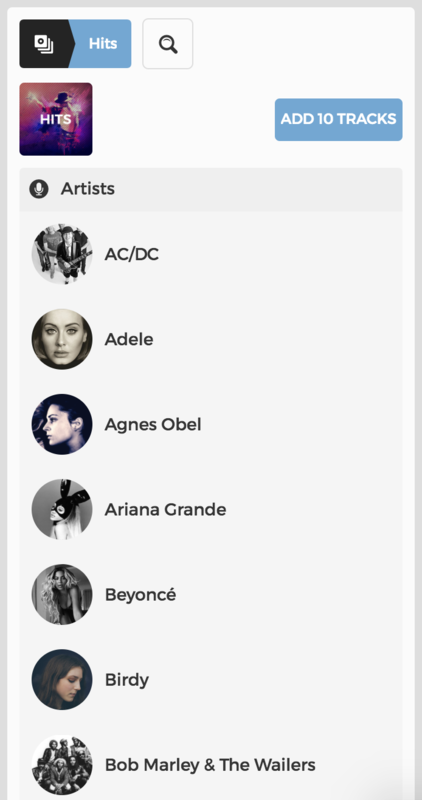 In the search column enter the title or the artist you want to add. 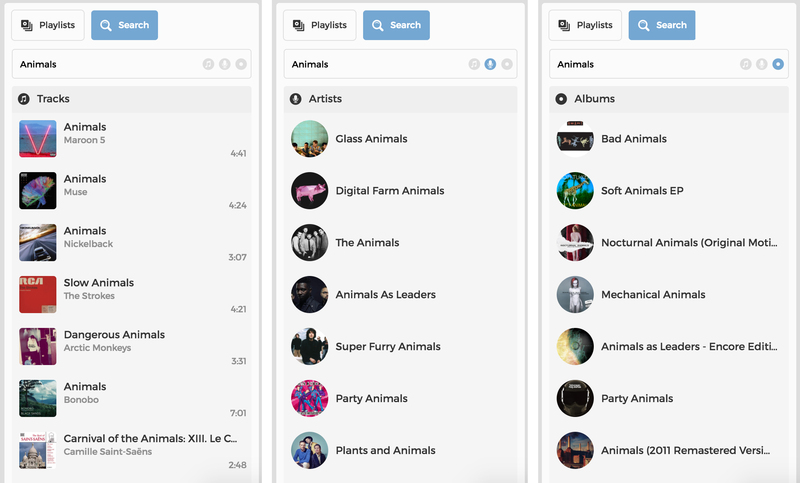 Note: In the regular search mode, the search engine will search the entered word in the title of the music and also the name of the artist. If you want to look through directly from the name of an artist or album or title of a song, please activate the advanced search in the Settings. To activate the advanced search, go to Settings > Music Settings. The switch button must be on "ON"
You will notice that there are now two tabs, to search a song, click on the "Search" tab. 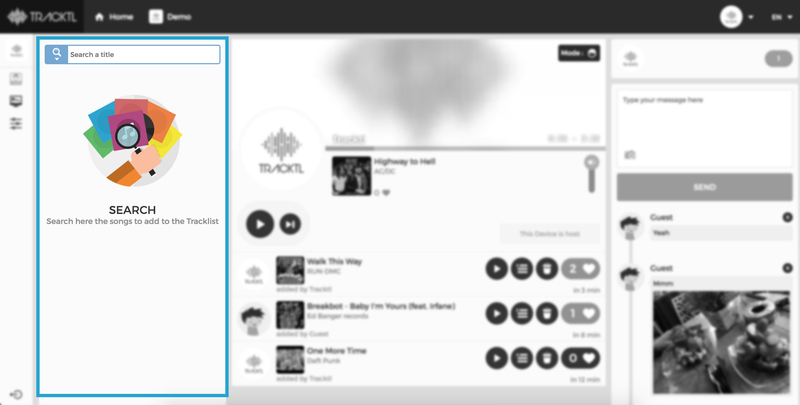 Now you can search by kind : track / artist / album. Results will be displayed in this order, scroll down to reach the right kind or select on the icons to filter. 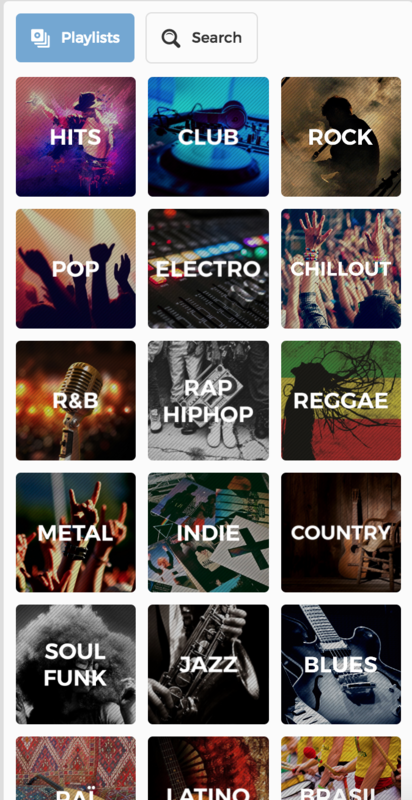 With the advanced search feature, you now have access to music catalog with suggested songs by genre. As an admin you can restrain to a genre the music choices. 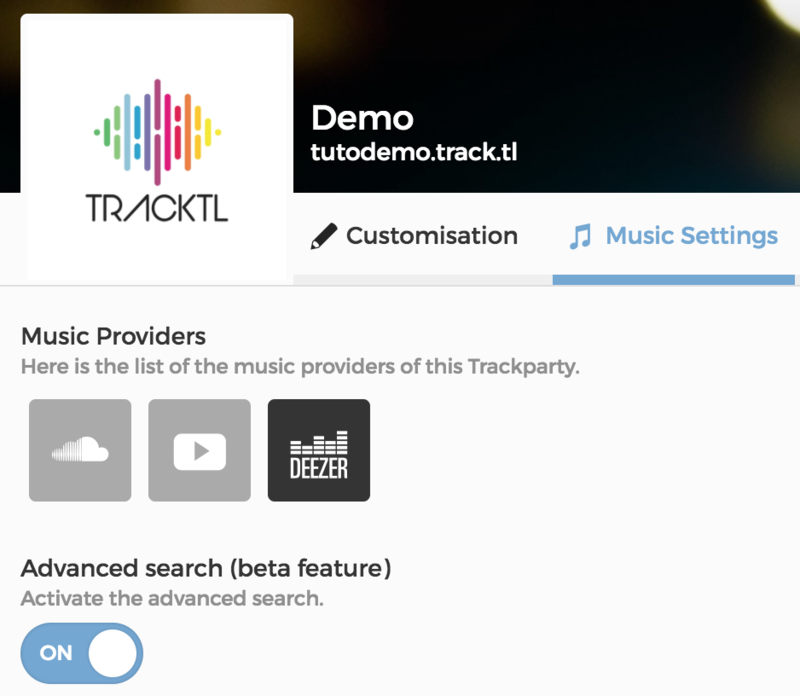 By clicking on a category, you could add 10 tracks randomly from the selected category.